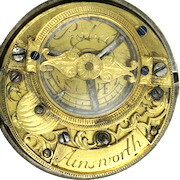 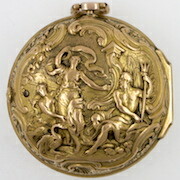 These are our mid 18th century watches, including gold and silver repousse pair cased watches. 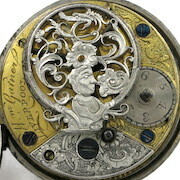 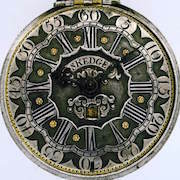 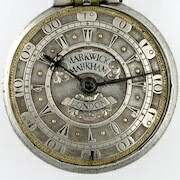 Many are London watches, mostly with verge movements but also some with cylinders and duplex movements. 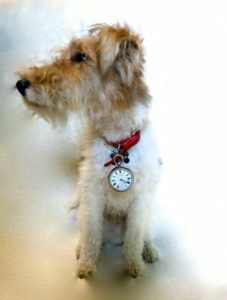 Click on the images below to see more photos and details. 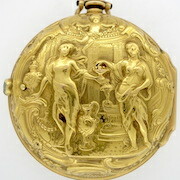 Gold repousse pair cases, 48.5 mm. 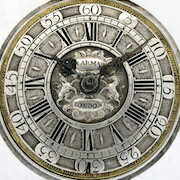 Silver engraved pair cases, 57 mm. 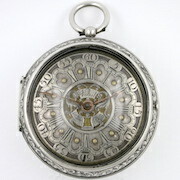 Silver pair cases, 57.5 mm. 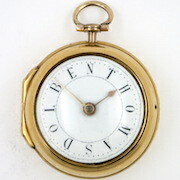 Silver pair cases, 47.75 mm. 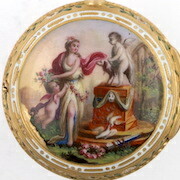 Silver pair cases, 49.75 mm. 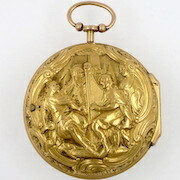 Gold pair cases, 45 mm. 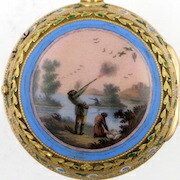 Gold & enamel case, 40 mm. 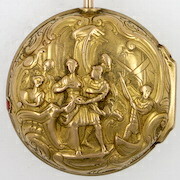 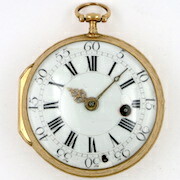 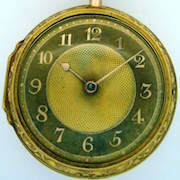 Gold & enamel case, 39 mm.